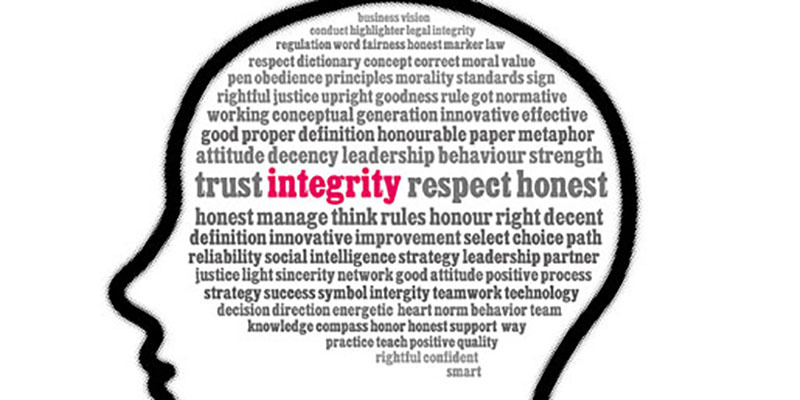 Commissioned by the Institute for Chartered Accountants in England and Wales (ICAEW), the IDEA Centre completed research on defining integrity and how to incorporate it into organisations. This research was commissioned in response to the banking crisis and MP expense scandals, and compiled into a report. This report is the culmination of a major research project which combined an online survey with nearly 1,500 respondents, interviews with 94 employees in organisations of a wide range of sizes and types, and an investigation into the philosophical literature, to gain practical insights into steps which organisations can take to promote or encourage integrity. The relationship between integrity and organisations is far from a new issue, but it is one which, in the wake of the banking crisis, the MPs' expenses scandal and the phone-hacking revelations at the News of the World, has never been more current. The Real Integrity research report, produced by the Centre in partnership with the Institute of Chartered Accountants in England and Wales (ICAEW), was launched at an evening event in the Centenary Gallery in the Parkinson Building at the University of Leeds. A programme and presenter biographies can be downloaded here. The Real Integrity Report was submitted to the Leveson Inquiry into the culture, practices and ethics of the British press. The report is referenced from 151:40.